The meeting started off with a presentation or awards to the Champion Parry Sound Shamrock Midget Hockey Team. Let me assure they certainly aren’t midgets as most people would understand the word to mean. This was followed by the public meeting, Item 2.1, that never actually indicated what it concerned. It was noted as being a ‘housekeeping’ issue but I believe it concerned a removal of the requirement to have defined on title parking for downtown Parry Sound properties. It’s hard to get public input if you never actually state what you want input on. Council expressed dismay at the lack of responsiveness of CN Railway to the crossing blockages last Friday. So what are you going to do about it Council? Why waste time expressing disappointment and concern if you aren’t going to act. I’ll have more to say on this point in the next couple of weeks. Returning to the meeting agenda here is a quick update on what was decided. No surprises, none at all. 2.1 – A public meeting respecting a housekeeping amendment to the Town of Parry Sound Zoning By-law 2004-4653 under Sections 34 of the Planning Act, as amended. The purpose of the proposed Zoning By-Law amendment is to amend the Zoning By-law to permit the renovation of existing buildings in the Business Improvement Area for residential units. Limited written and spoken comments were provided, all of which were in support of this. Council will now deliberate and pass judgement, which of course will be to approve the change. 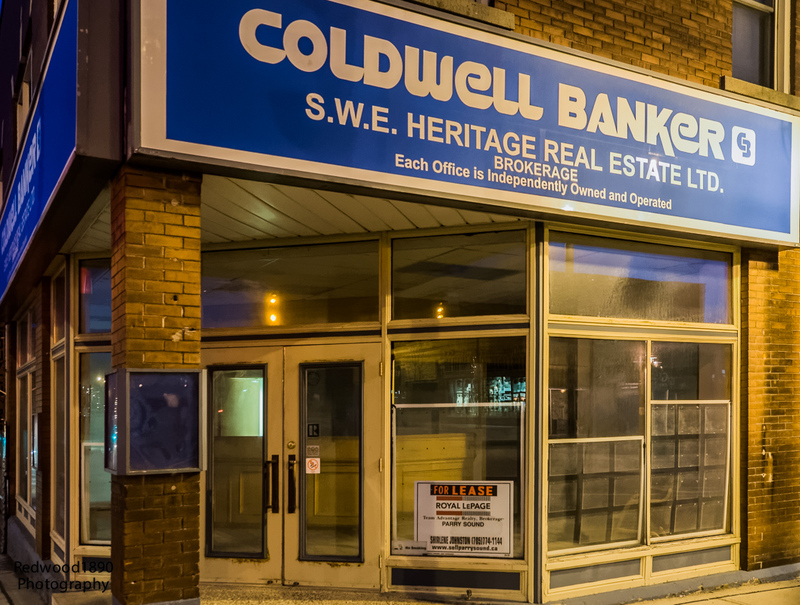 4.6 – Letter – Don Dudek, owner of 34 Seguin Street. Re: Support for the Zoning By-law Amendment regarding amending the cash-in-lieu of parking provision. This was in support of 2.1 above. 5.1 – Terrilynne Bannon, Municipal Relations Representative, Municipal Property Assessment Corporation. Re: Education and Training Session about MPAC. An interesting presentation. All properties will be reassessed as of January 2016 with the increased, or decreased. assessments applied in the following years. 5.2 – Bernadette and Erick Phillis, residents of Seguin. Re: Lack of public transportation in Parry Sound. A no-show. 5.3 – Dan DiNicolo, IT Co-ordinator, Town of Parry Sound. Re: Overview of the Town’s new website. This should be interesting. The site looks good. One change that wasn’t mentioned was the change to the domain – parrysound.ca. I suspect, but don’t know, that they were provided the domain by Metroland Media who own the parrysound.com domain. If you use the .com extension you will end up at their website, not a big issue but one that can only benefit them. Good thinking. By the way using the old domain, townofparrysound.com will still take you to the new website. 9.3.1 – Tower Hill Heritage Garden. Resolution. That the efforts of the Tower Hill Gardeners that are part of the Civic Beautification committee of the Parry Sound and District Horticultural Society at Tower Hill continue; and That it be resolved that Council approves in principle the plans identified in the report attached as Schedule “A”, to continue to beautify the Tower Hill site, in consultation with and approval from the Director of Public Works. CARRIED. 9.3.4 – RFP Wharf Repairs – Seguin River Parkette. Resolution. That Council accept the proposal from Schlager Excavating in the amount of $21,700.00, taxes extra, for repair of the wharf located at the Seguin River Parkette. CARRIED. 9.3.5 – Gas Tax for Transportation Options. Direction. That Council directs staff to negotiate an agreement with the West Parry Sound District Community Support Services (CSS) for the provision of a specialized transportation service. CARRIED. 10.2.1 – Adoption of 2015 Budget By-law. Being a By-law to adopt the Operating and Capital Budget Estimates for the Year 2015. CARRIED. 10.2.2 – Striking tax rates for fiscal year 2015. Being a bylaw to Strike the Tax Rates for Municipal Purposes for the Year 2015. CARRIED. 10.4.1 – Agreement to permit access onto Town lands in the Archipelago to evaluate the properties. Being a By-law to authorize the execution of two agreements for the access and assessment of Town owned lands by Henvey LP. CARRIED. That’s pretty much all there was. A couple of pieces of equipment were approved for Public Works, they were in the budget, as well as a couple of Consent Agenda items.